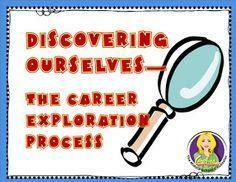 I am so excited to offer Career Cafe to our fifth grade students this year! Elementary school is a crucial time for developing career awareness and instilling a culture of self-empowerment. Career cafe will help students connect their schooling to future success and raise awareness about the various careers and career clusters that are available. Our students will greatly benefit from completing interest inventories and learning how their interests relate to careers. Throughout the six weeks that we will be together for career cafe, our fifth grade students will engage in activities that will help them recognize strengths, areas of improvement, and interests. Students will choose a cluster based on their interest inventory and explain why they would enjoy one of the jobs within that particular cluster. By the end of the six week period, students will be able to identify career clusters and the various careers that fall within those clusters. We will discuss the various levels of education needed for certain jobs along with jobs that are currently in demand and jobs that will be in demand in the future. Would you like to work alone or in a group? Would you rather work inside or outside? Would you prefer working during the day or during the night? Would you mind wearing a uniform? Would you like to make things or sell things? Would you rather travel or stay close to home? Would you like to work with your hands? Would you prefer to give directions or follow directions? Would you rather use communication skills or math skills? What were your favorite school subjects? What did you like to do with your free time? What career did you think about when you were young? Did you follow the career path you dreamed about when you were young? Why/why not? What obstacles were in the way of your career path? What did your parents want you to do? Who helped you make your career decision? What did you learn in school that helped you the most? What is your favorite thing about the work you do now? What do you like least about the work you do now? What skills did you learn in elementary school that you use in your work now? What skills did you learn in elementary school that you use in your home life?